Well it's official folks, a year ago today we did our very first artisan market at Warrington! We had 3 products available and a couple of Christmas boxes, very much like today it poured down too! What an amazing year it's been with our first food festival in Chester at Easter, meeting HRH Duke of York, having Simon Rimmer use our Millimanjaro, stocking new shops BUT best of all...meeting you guys! It really does feel like the Bongo's family is here to stay so THANK YOU all for buying our chillis, making us laugh, posting your pics and generally keeping us going. 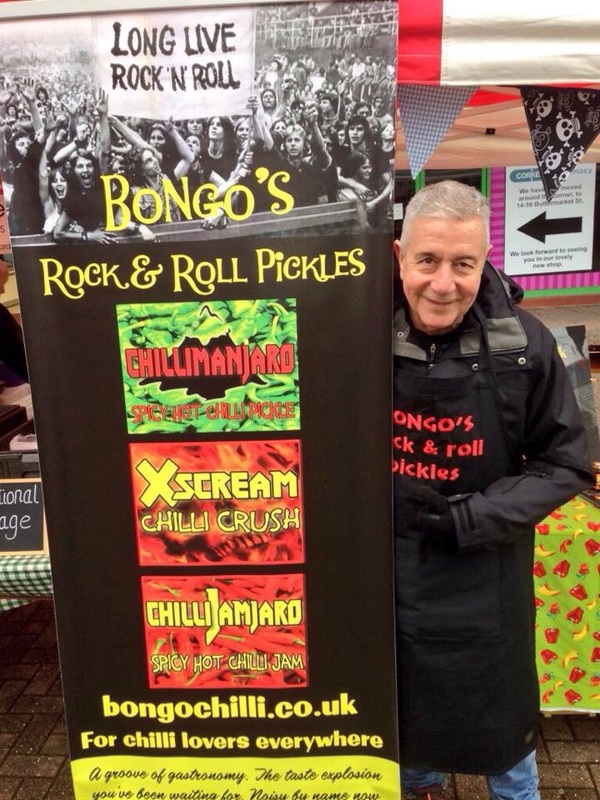 It's a really consuming job and we're still learning as we go but WE LOVE being Bongo's Rock & Roll Pickles and we think that shows in our products. As to the next year.....who knows what that'll bring but rest assured we've got big plans for 2016 so watch this space!